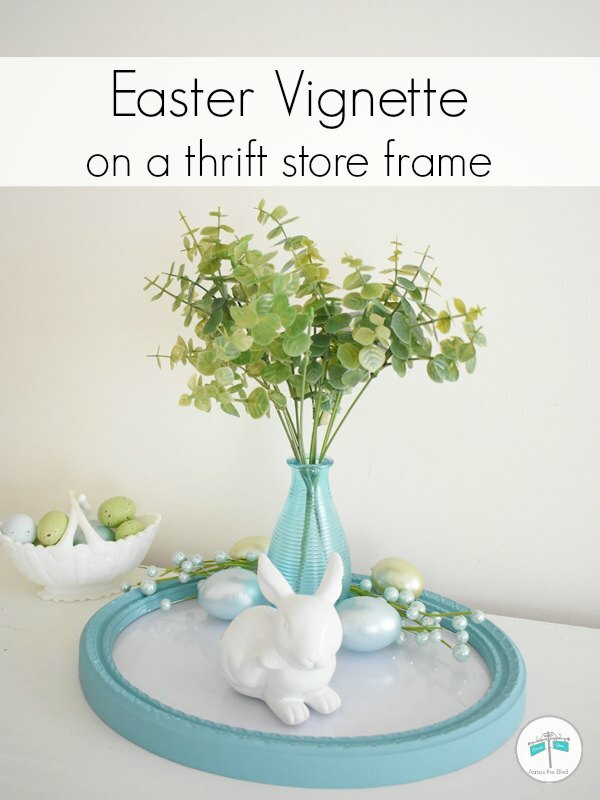 This Easter vignette using a thrift store frame was easy to put together using items I had on hand. I love finding ways to use the stash of thrift store frames that I have. Using a pretty oval one as a base for the display pieces worked great. We’re excited to be co-hosting our annual Welcome, Spring Link Party again this year. The party gets started on March 28 and we’d love to have you join us. 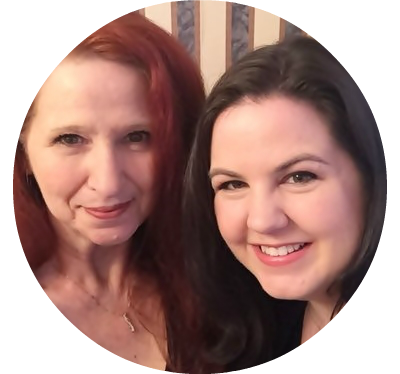 Along with the other co-hosts, we’re sharing a spring time post to kick off the party. I can’t seem to pass up a pretty frame when I’m shopping at my local Goodwill. There is always an assortment to chose from and I enjoy finding ways to put them to use. 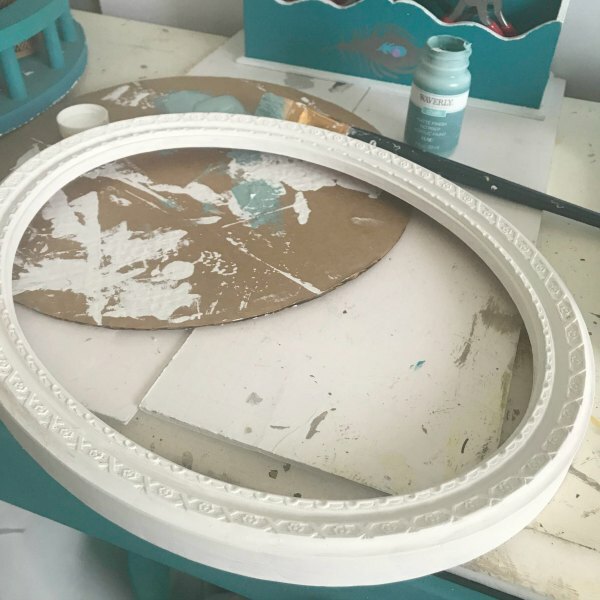 I especially like when I find oval frames that are in good condition and just need a bit of paint to work with my decor. After removing the screws holding the backing in place, I gave the frame a coat of white chalk paint. I like to start out with white and then add the final color. My new favorite paint color is Agave by Waverly. I love the coastal look it has. I used it for my dollar store wall art makeover recently. The insert piece for this frame is made out of sturdy cardboard. I used a sheet of white vinyl from my Cricut stash to cover it because it was large enough and it was an easy way to adhere it without using glue. 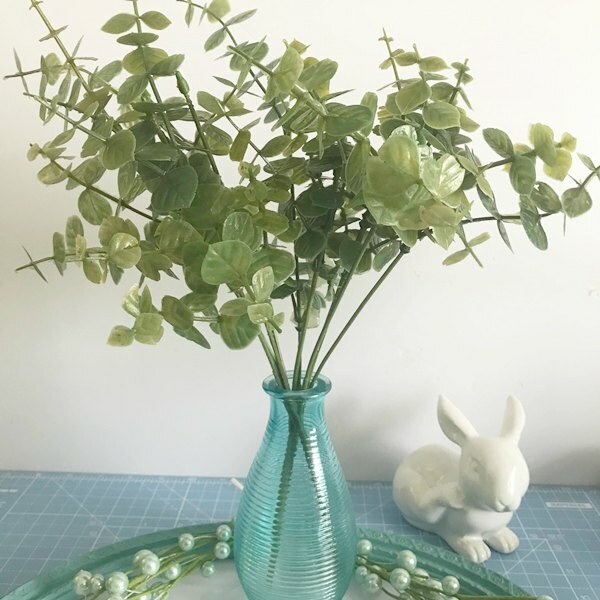 I found these floral beads in my spring craft stash and they are a perfect color to use with the frame. I twisted two of them together and tied a white bow around the stems. I have more eggs in my Easter stash than I can ever use. I pulled out some blue and green ones that have a pearlized look to them and nestled them into the beads. I wanted to keep the look of the vignette simple, so I opted for greenery instead of blooms. 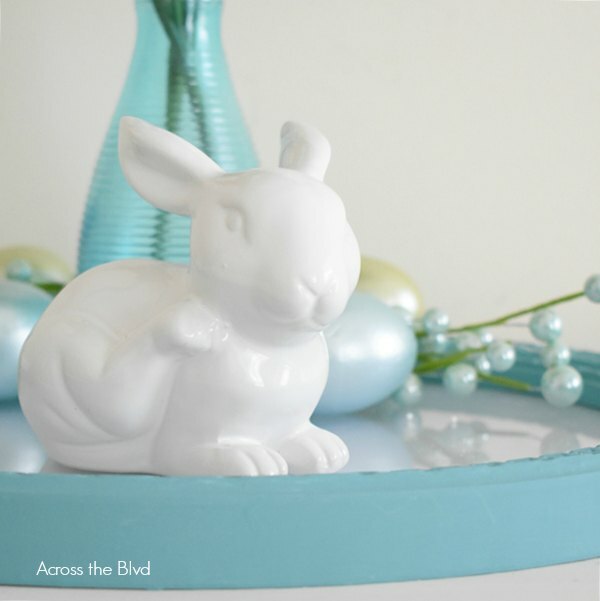 The blue vase is one that’s usually on a corner shelf in my breakfast nook area. 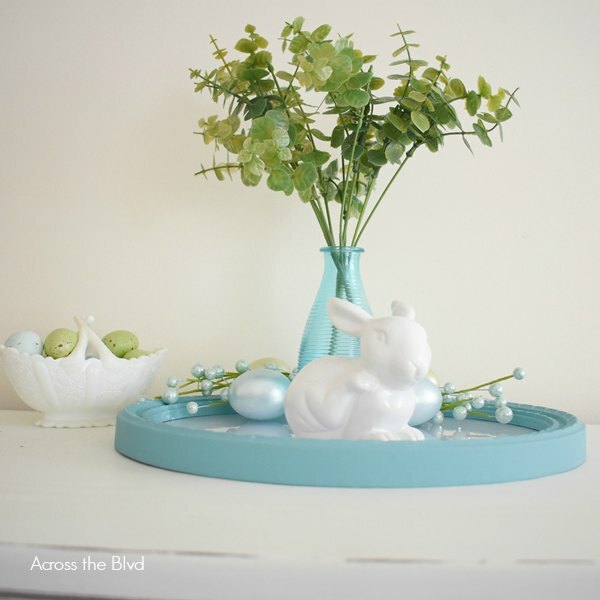 The finishing touch was to add a ceramic bunny to the display. None of the pieces are glued to the frame, so I can easily change it up for other seasons. 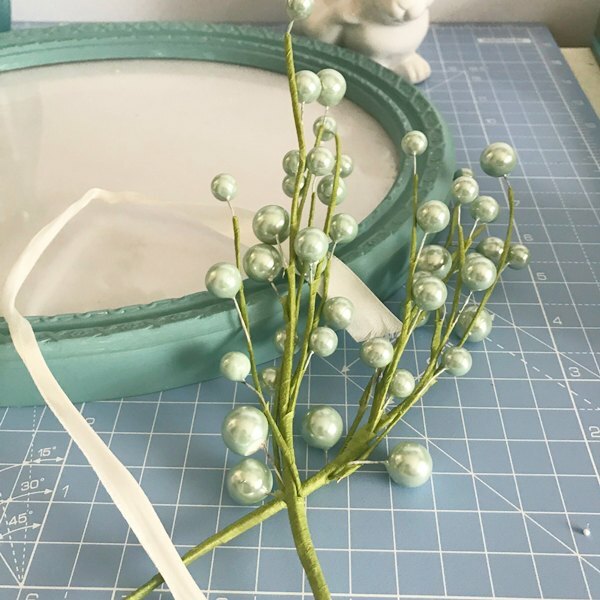 Using items I had on hand is a budget friendly way to create a holiday decor piece. Shopping your own home is a good way to find ways to reuse items and to create new looks by mixing up the pieces from year to year. 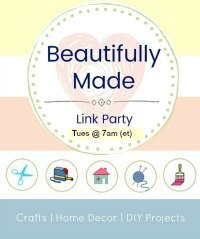 Be sure to stop by our Welcome, Spring Link Party for inspiration and to share your springtime creativity with us starting on March 28. Thank you, Dee. I love this shade of blue, too. I appreciate the pin! 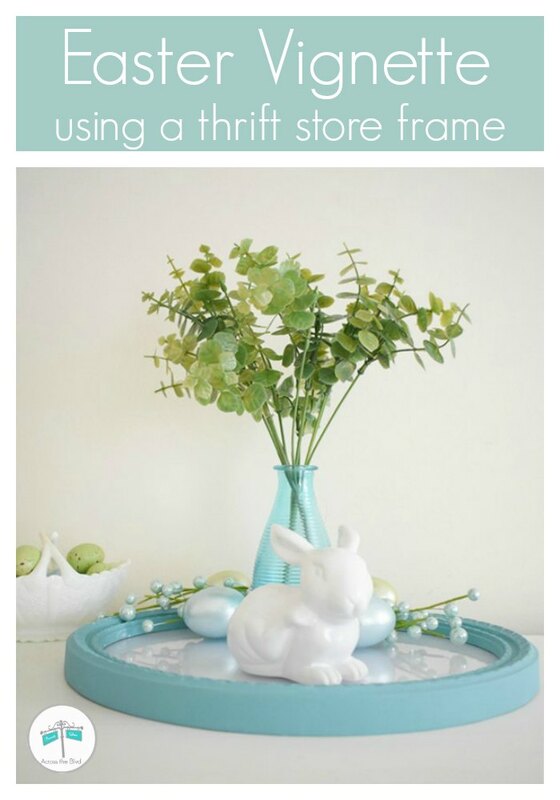 What a great idea to create this lovely Spring vignette using a picture frame! 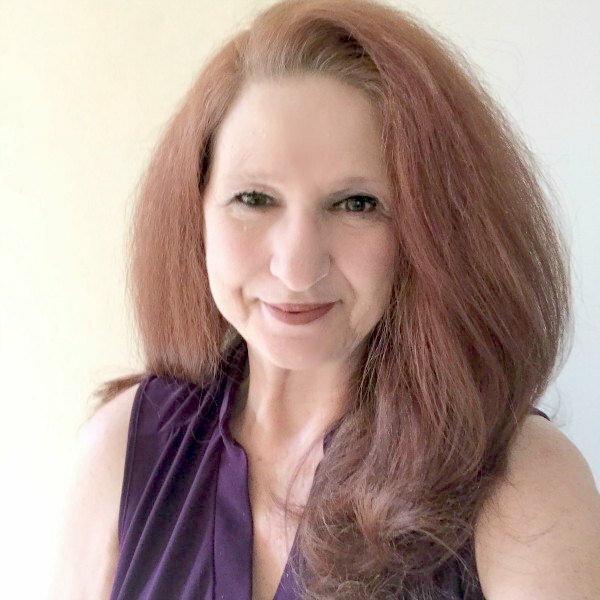 Thank you, Gail. I love finding fun ways to use frames. 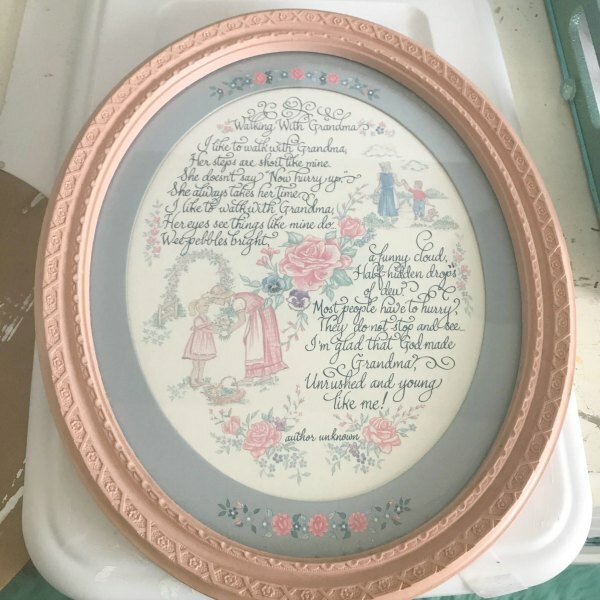 What an adorable way to reuse an oval frame. 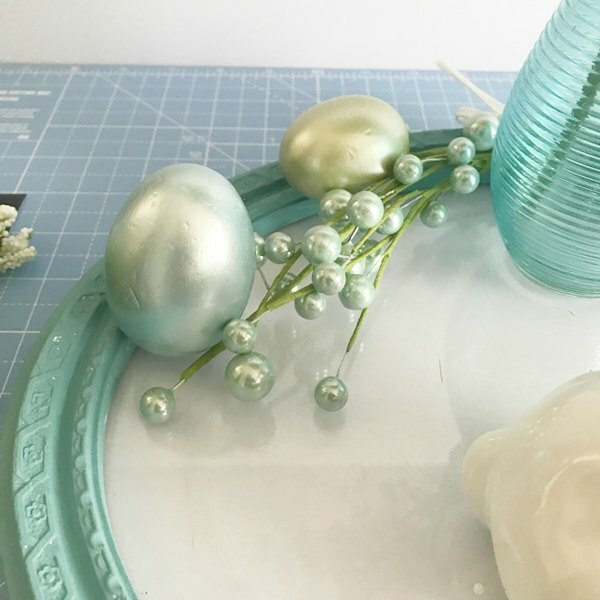 That’s the cutest way to display your easter decor. That blue color is so pretty. I’m in love with this shade of blue. I want to paint everything! Thank you, Jenny! Very pretty and I just love the color scheme. Pinned. Thank you, Joanne and thanks for the pin! Thanks, Marci! I love finding fun ways to use thrift store frames. It’s such a gorgeous shade of blue! Thank you, Emily!